Servant leadership, respect, excellence, and dedication — these aren’t just a random set of virtues, but the core values of Regent University’s Enactus chapter, an organization providing students entrepreneurship opportunities and training. 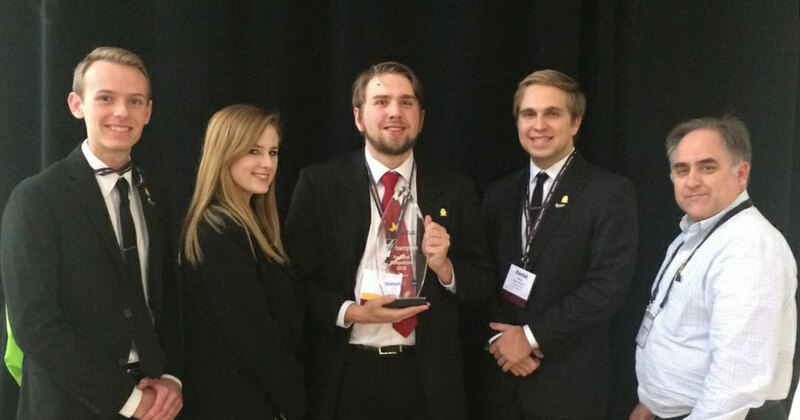 On March 19, Regent’s Enactus chapter, along with 16 other chapters, successfully advanced past a regional competition in Philadelphia, Pennsylvania, that involved 34 chapters from universities in the region. A 16-judge panel examined and assessed each team’s projects based on sustainability, economic outcome, and their positive affect on people. The team will compete with approximately 80 other teams in Enactus’ National competition on May 20 in Kansas City, Missouri. Desiring to turn his lessons from the classroom into real-world experience, Fandel joined the chapter over two years ago, serving as project manager and chief marketing officer before stepping into his current role. “It’s been a humbling experience, one that teaches you to delegate and trust that team members will deliver,” Fandel said.